BIG NEWS: A Mess O’ Trouble 2.0 for OS X ! Now available in the Mac App Store! 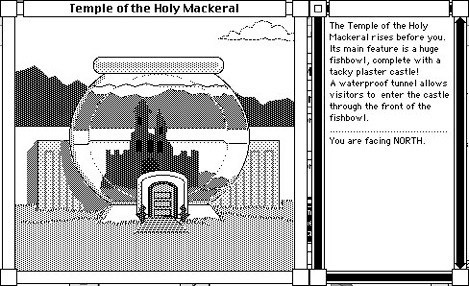 Play the indie Mac classic from 1994, lovingly restored for OS X with the original artwork and sounds! With hundreds of individual scenes to explore, A Mess O’ Trouble is filled with challenges, hidden treasures, and plenty of personality! Its non-linear gameplay lets you explore at your own pace as you work through the many cleverly designed puzzles confronting you. A Mess O’ Trouble is set in Ray’s Maze—a strange spatial anomaly consisting of a patchwork quilt of worlds stitched together by Jump Doors. As either veteran adventurer “Fearless” Frank or intrepid newcomer “Daredevil” Dawn, you will explore the many worlds of the Maze in search of treasure and a way out! Click the link above to download the game! BUG FIX: There is a minor bug in the Enchanted Forest world of “A Mess O’ Trouble”, which can make it difficult to find a certain clue. In the “foyer” scene, inside the teddy bear house, a half page of paper can be found. You’re supposed to be able to read it, but when selecting “Read” from the menu and clicking the page, nothing happens. Fortunately there is an easy work-around for this: Select “Say” and then type in “read page”. More OS X compatible games on the way! We plan to update my other games as time allows. We may also produce iOS versions for use on iPhones and iPads. Keep checking this page for further announcements. These games were created several years ago and are not compatible with OS X, except through the use of emulator software. Email raydunakin@aol.com for more info. DESCRIPTION The deluxe color version of my hit game, “Twisted!” with working sounds and an advanced interface. Also includes a few new scenes and puzzles. In this game, you start off as a storm chaser involved in an important experiment. But when a tornado strikes, you soon end up in a strange world full of bizarre creatures. You’ll need all your wit to find your way home -- and then there’s a city to save! WARNING NOT COMPATIBLE with OS X 10.5 or later. Requires “Classic” mode in earlier versions of OS X. 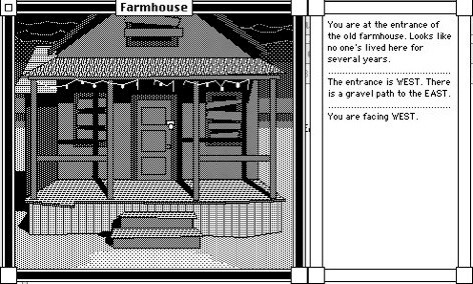 DESCRIPTION Original black & white version of my hit game, “Twisted!” Text-based interface with B&W graphics. DESCRIPTION Third and most refined game in the “Ray’s Maze” series. 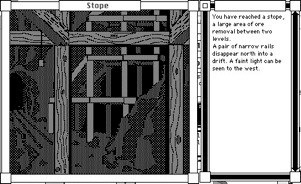 Text-based interface with B&W graphics. Explore an authentic ghost town for hidden gold. Uncover the secret of ancient technology. Escape from a desert island. Outwit bureaucrats while attempting to save a civilization from utter obliteration! These and many more challenges await in this exciting adventure! DESCRIPTION Second game in the “Ray’s Maze” series. Text-based interface with B&W graphics. Visit eerie moors, a desolate battlefield, and an ancient castle. 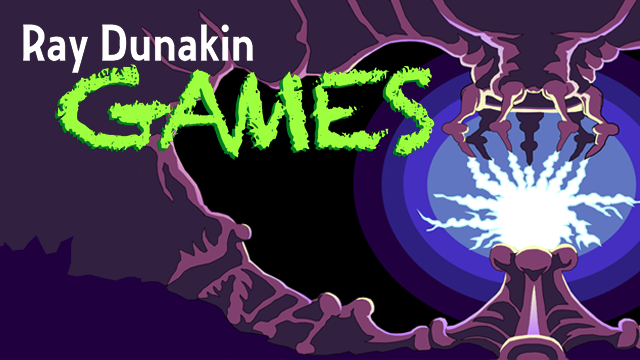 Defeat the Flaming Chihuahua, sand pirates, and other horrific monsters. Challenging puzzles and fantastic treasures abound. DESCRIPTION First game in the “Ray’s Maze” series. 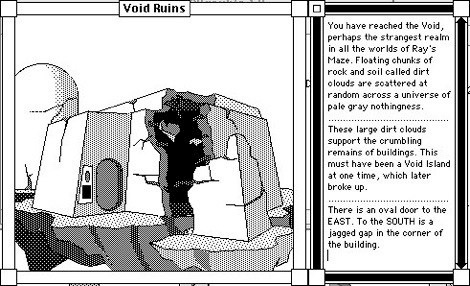 Text-based interface with B&W graphics. Text parser is not as sophisticated as in later games. You’ll encounter Butthead trolls and many other creatures while exploring strange worlds. 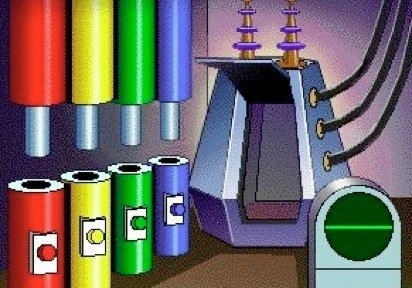 Wondering what happened to Morphworld? Will I ever make new games again? Click to find out!